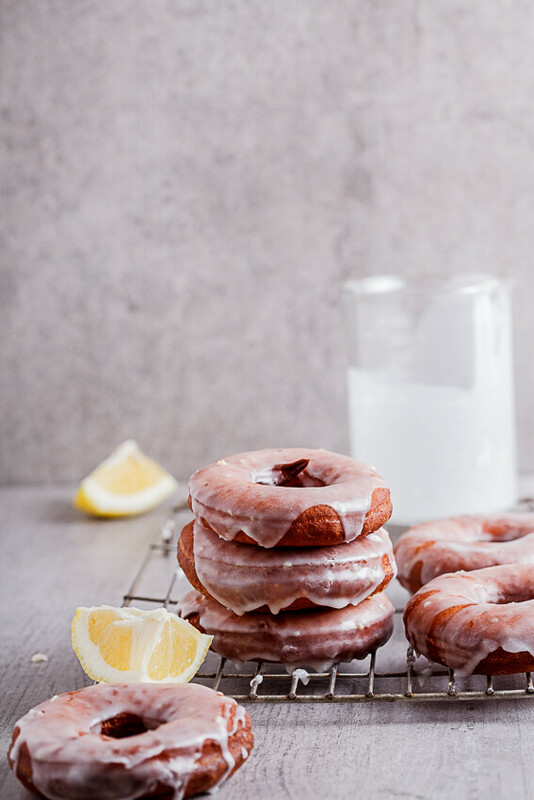 Soft and fluff lemon glazed doughnuts covered in a zesty, vibrant lemon glaze is the kind of dessert dreams are made of. 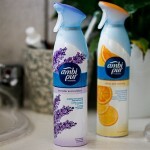 Perfect for making with the family! That glaze. Dripping all over those golden doughnuts with their soft interior… woaaaaah momma! 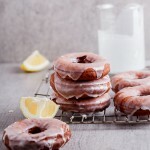 These lemon glazed doughnuts (glazed donuts for my American friends) are the stuff of my dreams I tell you! So by now you know that I am a fan of dough, pastry and batter. Bread, cookies, waffles, pancakes, croissants, doughnuts. You name it, I love it. And the most obvious reason is that all of these things are delicious (duh! 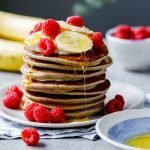 ), but I think there’s also something magical in taking the simplest of ingredients like flour, butter, sugar and eggs and turning them into a glorious cake, perfect bread or golden doughnuts. I mean it pretty much sums up my motto in the kitchen. Keep things as simple as possible while delivering huge on flavour and texture. 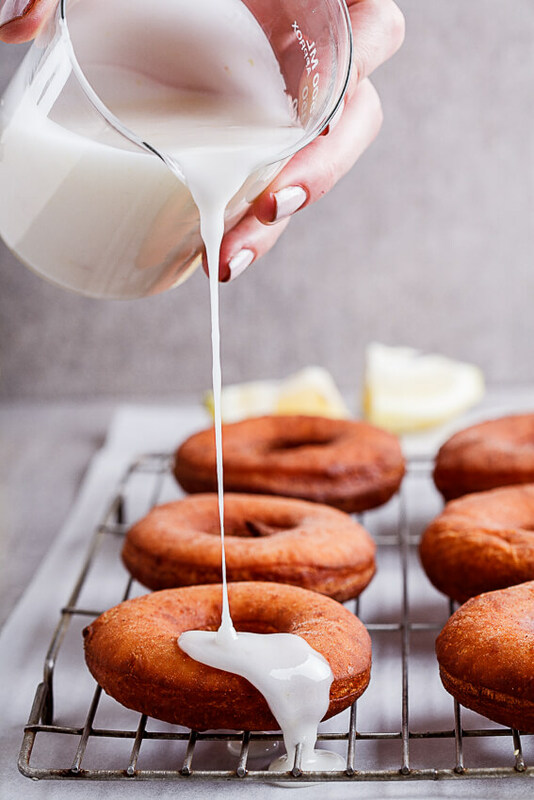 These glazed doughnuts are a breeze to whip up and yes, you have to wait for the dough to prove for a while but the actual making of the dough and frying of the doughnuts could not be simpler. 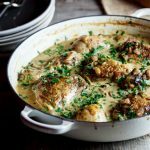 I use my stand mixer to make the dough but you can very easily use a bowl and a little elbow grease to get the dough to that soft, smooth consistency. I used a wide, deep frying pan to fry the doughnuts as they don’t need a deep pot to fry in (they pretty much just float at the top) and this way, I can control the way they brown easier. And word of warning here: these doughnuts cook fast. Most of them were a few shades darker than I intended because I turned my back for one second while they were in the hot oil. I would suggest you keep your oil at around 180-190°c (360-375°f). This will result in an evenly golden shade with a perfectly fluffy interior. The beauty of these doughnuts is that you can top them with pretty much everything. I’ve chosen to cover them in a zesty lemon glaze flavoured with both lemon juice and zest. 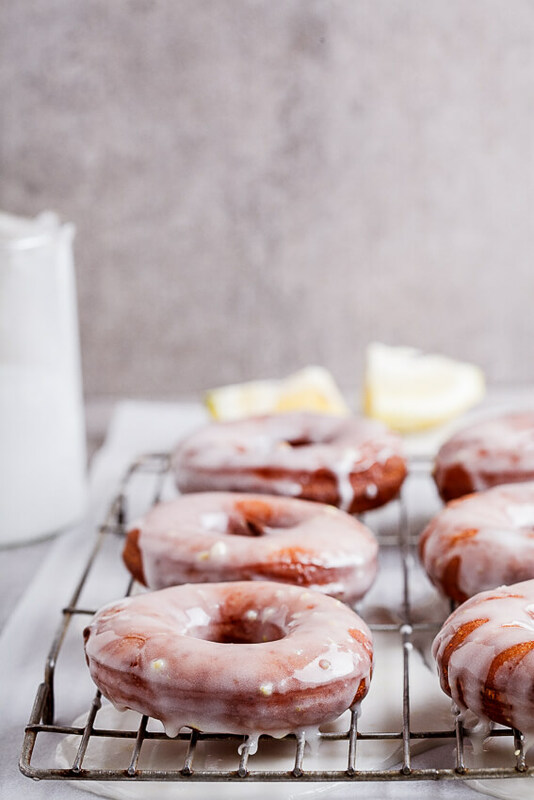 The easiest way to make the glaze is to combine the icing sugar, lemon juice and zest and boiling water in the bowl of a food processor and whizz until smooth. 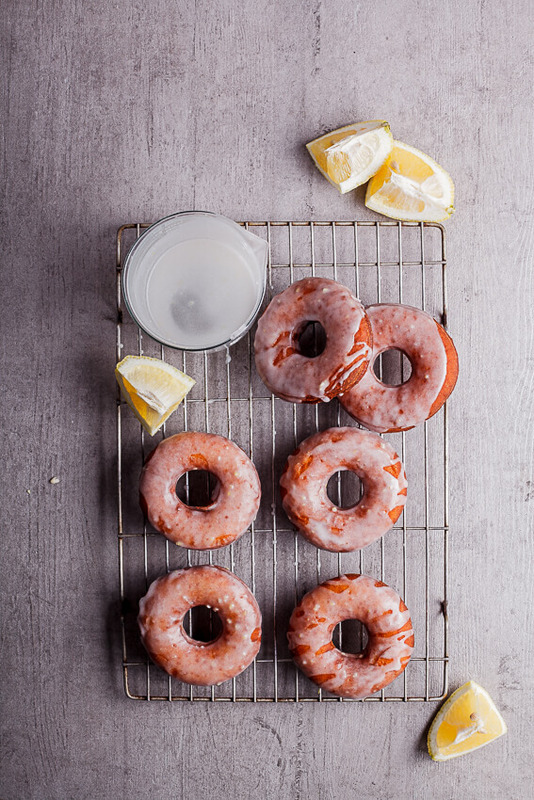 As soon as the doughnuts come out of the oil you douse them in this vibrant glaze and this will allow the doughnut to absorb a little of the glaze giving you the flavour of lemon throughout. Allow to cool then dig in. 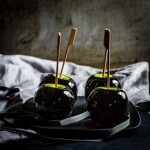 And I dare you to only eat one! Make the doughnut recipe as instructed then allow to rise for 2 hours. 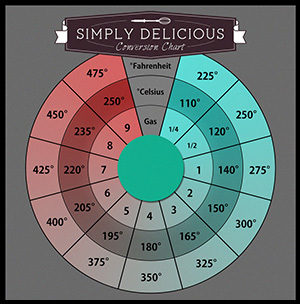 Roll out the dough and cut out the doughnuts to your preference. Place on a floured surface and cover with a damp tea towel and allow to rise for another hour. In the meantime, make the glaze. Combine all the ingredients in the bowl of a food processor and blend until smooth. Place in a jug and press a piece of cling wrap to the surface. This will prevent the glaze from forming a skin. Heat the oil in a large, deep frying pan then carefully fry the doughnuts until golden brown and cooked through. Remove from the oil and drain on kitchen paper before pouring over the glaze. 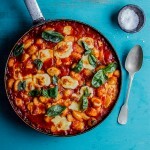 I’ve always wondered with recipes that have yeast if you can freeze them at some point; and at what point the would be?! Cathy, I have to be honest, I have no idea. But I would assume you can roll out the doughnuts then freeze them in a single layer? I always make sure I have something to do while the dough rises because I too can’t wait! 🙂 So glad you liked them Lynne! 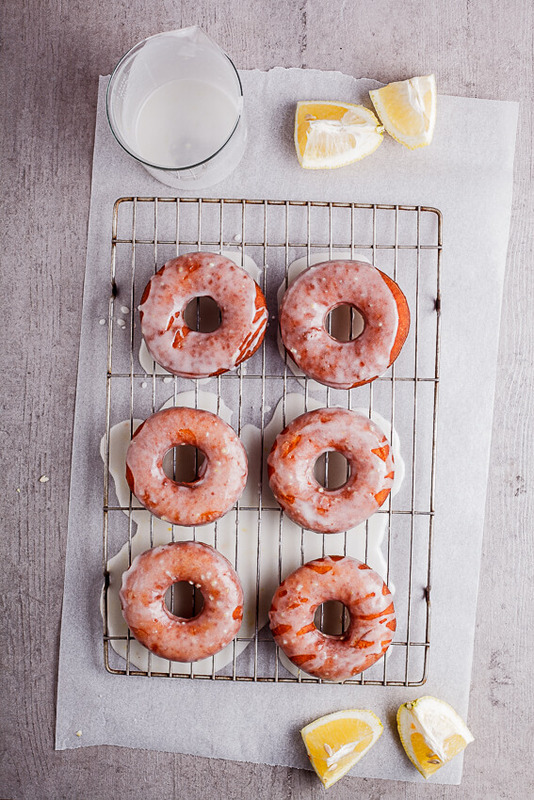 This is such a wonderfully easy recipe for donuts! And that glaze?! <3 <3 AWESOME! So glad you approve Katrina!